The contemporary world of electronic music can be a difficult place to navigate at times. While many artists attempt to craft tunes befitting a genre that’s always been best moving forward, from some quarters there’s been a concerted attempt to keep it firmly aiming at the past. Enter Vile Electrodes, the Hastings-based electronic outfit who have just released their second long player titled In The Shadows Of Monuments. As a UK-based electronic outfit, Martin Swan and Anais Neon have always acknowledged the country’s rich legacy of electronic music; yet have always been very clear on their position, stating “…our music neither sits wholly in the past nor the present. Showing deference to ‘classic’ electronic music but not limited or defined by it”. As ever, it’s the quality of the music that gives the final statement and the new album presents the opportunity to see where the Viles fit in the complicated jigsaw of the modern electropop era. As a band, the Viles have always drawn from the darker end of the electronic palette, but have also deftly eluded being your run-of-the-mill electropop outfit. At times, In The Shadows Of Monuments seems oddly reminiscent of the broody intensity of Joy Division with a nod towards the gothic-pop of Organisation-era OMD. Yet there’s never a moment when the Viles stumble down the hole of pastiche and their sound remains distinctly their own (a feat that escapes many of their contemporaries). Their 2013 album The future through a lens was a fine collection of songs that defined the Vile Electrodes sound. From the melancholic tones of ‘Proximity’ through to the dance-pop of ‘Empire Of Wolves’, here was an album that was warmly received by a scene in desperate need of facing forward. It was also an album that helped the duo win ‘Best International Album’ and ‘Best International Artist’ awards at the 2014 Schallwelle music awards in Germany. Now with the follow-up album, Swan and Neon are seen to continue that tradition, while also embracing some fresh directions. Title track ‘In The Shadows Of Monuments (Part 1)’ breathes an ominous tone with sparse percussion as Neon’s voice takes on a mesmerizing tone. ‘The Red Bead’ treads more familiar ground with its frenetic rhythms and Neon’s sinister lyrical turn: “The deep cut is painless/when the blade is sharpest”. Meanwhile, the bassy ‘As Gravity Ends’ presents a rumbling in the depths, while ‘Evidence’ is a melancholic reverie offset by a stark and shifting electronic barrage. The layered effect of Neon’s vocals gives the latter an oddly compelling quality. “The fate of all things is decay,” declares the lyrics on the dark dance-pop of ‘As We Turn To Rust’. Insistent rhythms sound off like a war siren in the darkness, picked out by some evocative composition work. The sepulchral tones of ‘Into Great Silence’ offers a moment of reflection. It’s a song whose hymnal quality points to more of an atmosphere of tone and mood compared to some of the more traditional electropop in evidence elsewhere on the album. The mesmeric droning of ‘Like Satellites’, meanwhile, gives us an epic, sweeping element to Vile Electrodes. It’s a magnificent immersive moment picked out by subtle electronic effects and, at times, an almost choral quality to Neon’s vocals. If there was ever a music composition that could paint the awe and scope of space, this is a fine contender. ‘Last Of The Lovers’, meanwhile, gives up some fine wistful moments in an evocative composition that plays around with vocal construction as much as it does with its shimmering rhythm beds. Closing the album, the slow intensity of ‘The Vanished Past’ paints a picture of lost history. Having a subtle guest backing vocal from OMD’s own Andy McCluskey only sweetens the deal on a song that oozes a warm, engaging tone. “Not everything is as it seems,” suggests the lyrics, which we can’t really argue with. Outside of the music, the Viles are also a keen creative duo when it comes to packaging their material. It’s perhaps a lost art these days, with the exception of countries such as Japan and Korea, but giving an album a distinctive physical design is certainly a welcome direction in bringing art back to the music. As a result, the deluxe version of In The Shadows Of Monuments comes encased between 2 handcrafted concrete tiles, the title stenciled in a subtle fashion across the front. Inside, the album is crafted in abstract geometric shapes (almost a Viles trademark by this stage) augmented by moody black and white photography. You also get a second CD featuring additional tracks and alternative mixes. The end result is as much an art artifact as it is a collection of music. 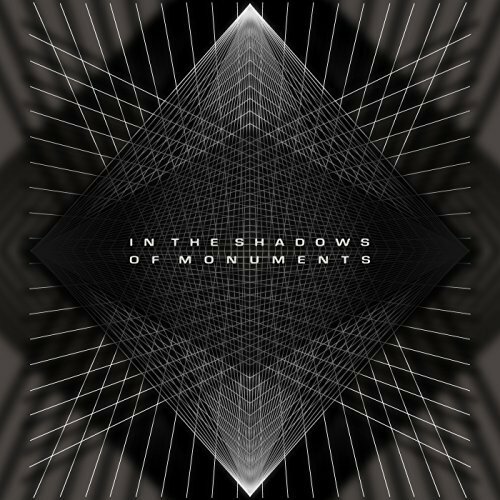 If you’ve been pondering dipping your toes into the shallow pools of the contemporary electronic music scene, then you could do worse than give In The Shadows Of Monuments a spin.